Jook (or congee or rice porridge) is possibly my number one comfort food. It's a staple at my parents home and my grandparents home, and I don't think it's possible for me to turn down a bowl (or two or three). 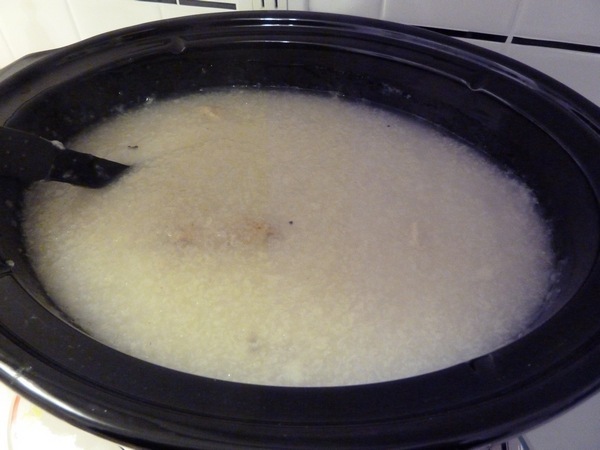 Normally we toss old leftover rice into a pot on the stove and cook it for a few hours along with a turkey leg, but Sak had been wanting to try it in the slow cooker, and I gotta say, I don't think I've had creamier jook in my entire life. 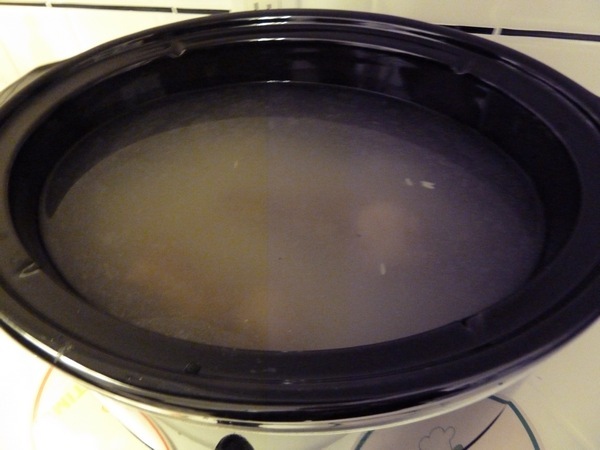 Put two cups of jasmine rice (real cups, not rice cooker cups), in the slow cooker and fill it near full with water. (Shown in the picture is 1.5 cups of rice, which was a little more watery than when we did it with 2 cups.) I've heard a 1 cup rice to 10 cups water is the approximate ratio you should use for slow cooking, though it's also dependent on personal preference. Additionally, I threw in a couple pieces of leftover bacon for flavor, but that's totally optional. pretty nasty looking at this stage.. I let it cook on low for a workday, about 10-11 hours. When we got home, dinner awaited! A bit watery, but that's okay. Now the fun part of jook is making it your own with toppings! You could do it Penga-Sis style, by adding nothing but a ton of soy sauce,or you could try my favorite - green onion, grated fresh ginger, thousand year old egg and soy sauce! 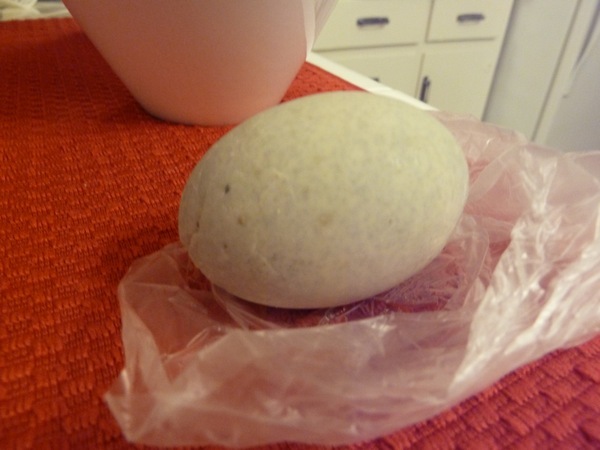 Thousand year old egg kind of tastes like deviled egg in jello. Haha! The yolk is creamy, and the egg white is gelatinous. 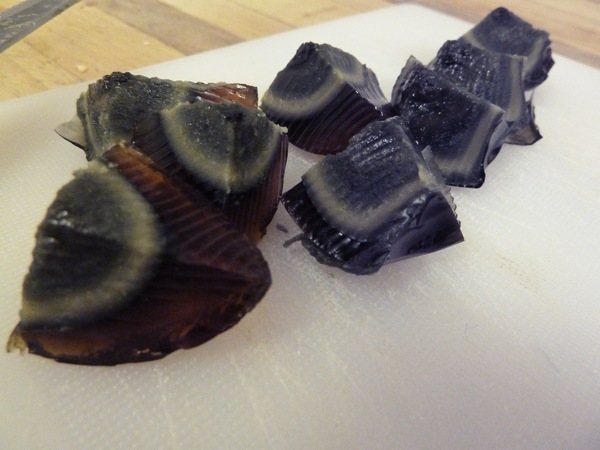 You can find them in packs of four or six in Asian markets, labeled preserved duck eggs. So tasty! 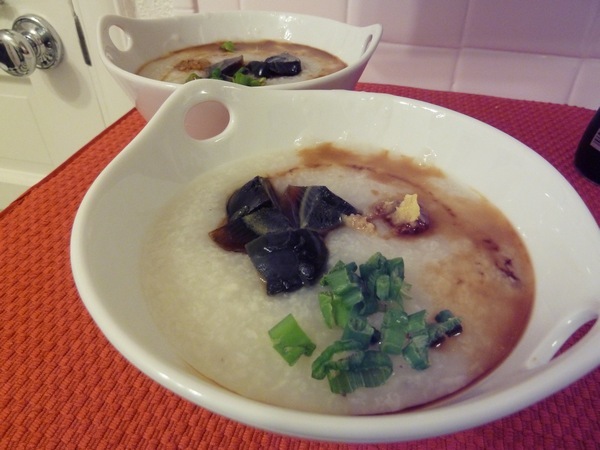 Have you had jook before? What's your favorite toppings? I've never had jook or thousand year old eggs (though I've been intrigued, I've never had the opportunity). 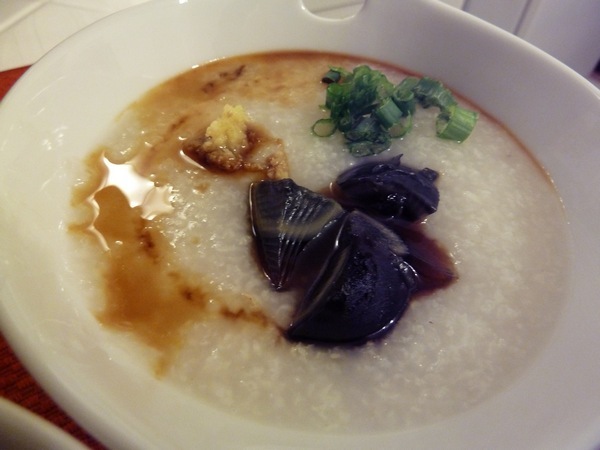 But the jook seems a lot like Japanese okayu, just cooked maybe even longer. I loooove okayu!! And after Thanksgiving, we use the turkey bones to make the broth and freeze it for okayu. =) Yumm. Sak thinks the only difference between jook and okayu is the type of rice. I think Japanese rice (calrose?) holds its shape better and doesn't become as "soupy" as jasmine rice does. okayu is yummy too! same thing! I think jook may be the Cantonese name? I love jook! It's my #1 comfort food too. I like dried pork on top of mine. what a great idea to make it in the slow cooker. i may have to make some this week.